For a completely hassle-free parking service at Bournemouth, look no further than Standard parking. An Official Long Stay service, this car park will instil peace of mind that your car is safe whilst you are away. The car park has fences and is partially covered by CCTV. Number plate recognition ensures that only customers can enter the car park. The procedures are simple; drive up to the barrier, which will lift automatically, park in a space and walk to the terminal. After you've landed back, it's just a quick walk back to the car park to pick up your car and drive home. 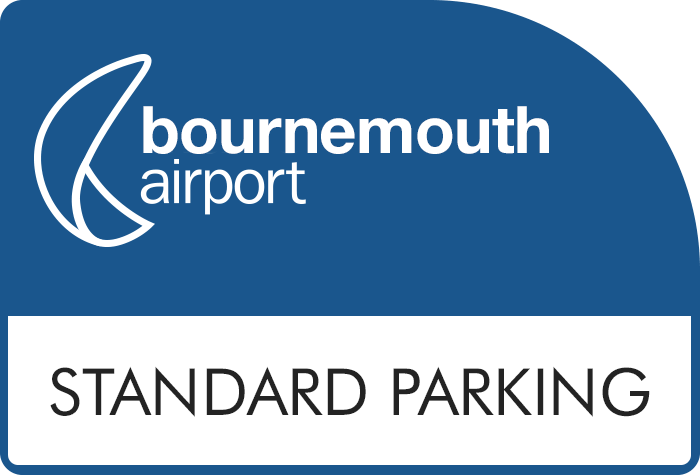 If you're after a car park that doesn't need transfers and puts you in control, then Standard Parking is the Bournemouth airport parking for you. Get a special low rate for our most convenient car park - you won't even need to transfer! For a straightforward service with all the security you need, look no further than Bournemouth's Long Stay car park. Automatic barriers will recognise your car when you arrive - and keep it safe until you return. From there, it's just a five-minute stroll to the terminal. It really is that easy! It's our slickest parking service yet. Simply use the green pre-paid parking lane to pull up to the entry barrier. The barrier will recognise your number plate and lift automatically, leaving you free to sail through and find a bay. When you're ready, you won't need to worry about waiting for transfers, as you can stroll to the terminal in just five minutes. Your car will stay exactly where you left it, and you even get to keep your keys! Your car will be in safe hands while you're away, as the car park has it covered when it comes to security. The area is secured with fencing and is partially covered by CCTV, and there's even number plate recognition at the exit barrier for added peace of mind. It's just as easy when you get back. All you need to do is grab your bags, then take the short walk back to the car park where your car will be waiting for you. When you're ready to leave, head to the barrier, wait for it to lift and you'll be on your way in no time. With no need to wait for transfers, it really couldn't be simpler! For your easiest airport parking experience yet, don't miss your chance to book. When you're ready to fly, transfers aren't needed as the terminal is just a short walk away. Very easy and hassle free experience. Would definitely use the service again. Very close to the airport terminal and only a short walk to check in. staff were very helpful as my wife has a wheelchair, car parking very easy just could do with some trollys by the disabled park. Easy to book. Everything went very smoothly. Would recommend and use again. Thanks. We had problems exiting the car park. I don't know whether there was no number plate recognition camera as there was on the entry or whether there was one and it was not working. Not what you want late at night after a long journey. Our customers rated Standard Parking on average 9/10 (445 reviews). Read Standard Parking reviews.